DCMF 2017 Lineup leaks begin! The first three names of the DCMF 2017 lineup have just been announced! Join us in July with Kaia Kater, Surf Dads and Shred Kelly!! Be sure to check out our 2017 lineup page for more information. Additional leaks coming every Friday in April on CBC Yukon’s Air Play with Dave White. 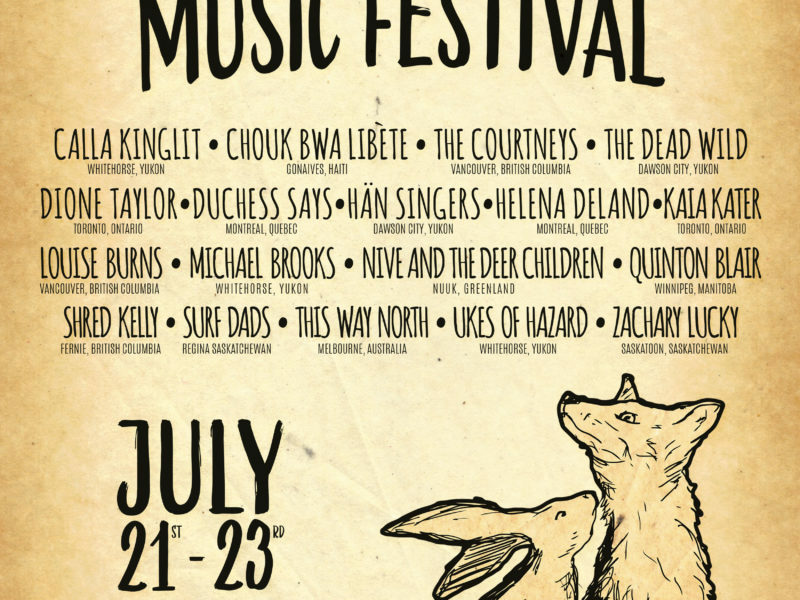 Festival passes are available here. 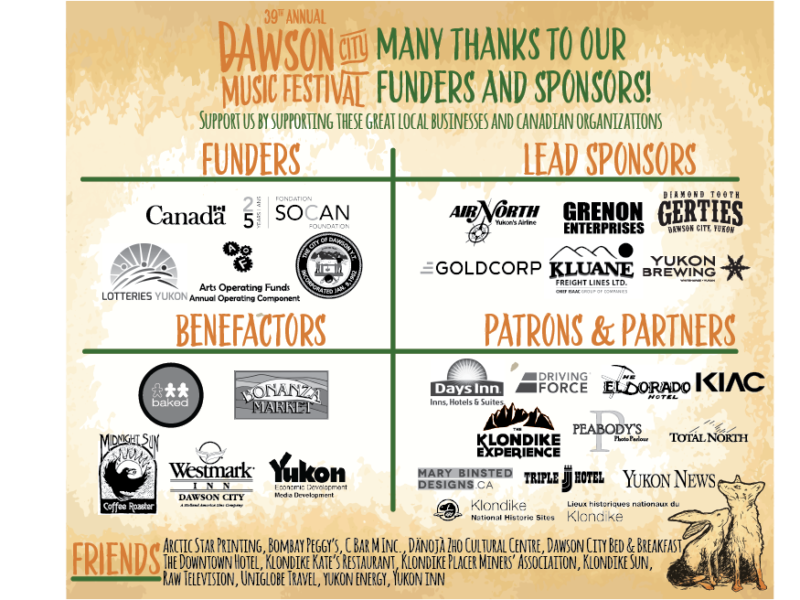 We can’t wait to see you in Dawson City! 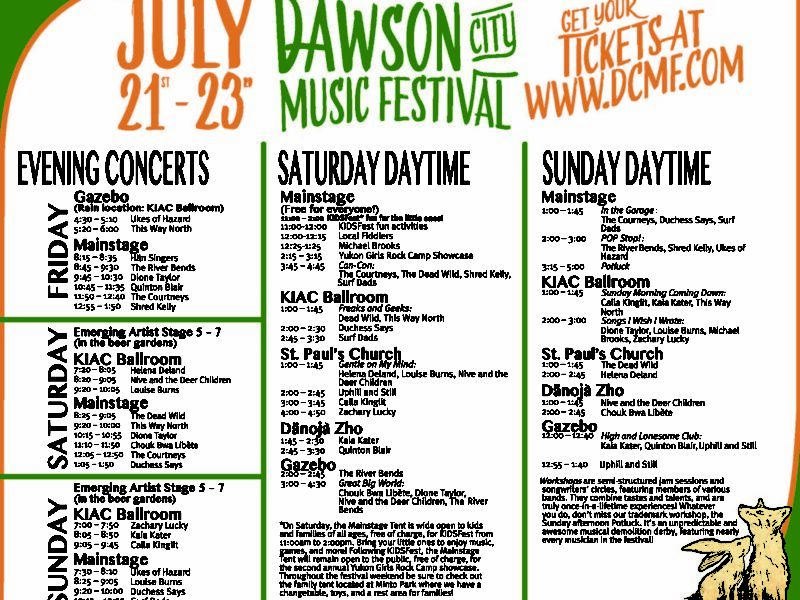 Stay tuned to www.dcmf.com for all things 2017. 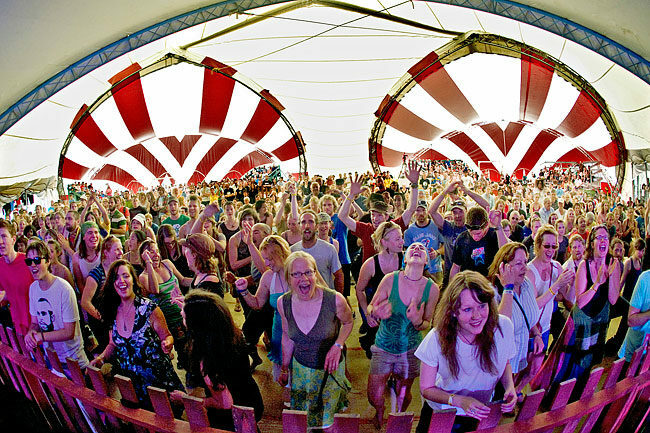 Camping and volunteer info coming soon!